Over 13,300 trade visitors from 94 countries, an increase of ten percent over the previous edition, and 7,600 visitors from the concurrent Techtextil came to Texprocess to discover the world’s biggest range of new software solutions, processes and technologies for the garment and leather technology sector. The proportion of international visitors, i.e., from outside Germany, rose by 58 percent (2013: 52 percent) while the level of visitor satisfaction climbed two percentage points to 96 percent. 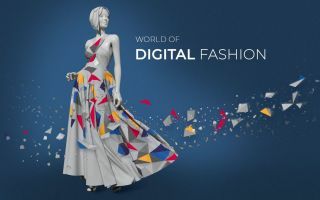 Altogether, 273 exhibitors from 33 countries took part in the Leading International Trade Fair for Processing Textile and Flexible Materials in Frankfurt am Main from 4 to 7 May 2015 (2013: 270 exhibitors excluding ‘Source it’). Around 7,600 guests from the concurrent Techtextil visited Texprocess. A total of 1,389 exhibitors from 52 countries (2013: 1,330 exhibitors from 48 countries) and around 28,500 trade visitors from 102 nations (2013: 27,418 from 97 nations) attended the Leading International Trade Fair for Technical Textiles and Nonwovens. Together, the two fairs welcomed 1,662 exhibitors from 54 countries and almost 42,000 trade visitors from 116 nations. Visitor growth came primarily from outside Germany while the number of German visitors remained constant despite a railway strike lasting several days. After Germany, the top visitor nations were, in chronological order, Italy, Romania, Poland, Portugal, Turkey, France, Great Britain, Spain, Bulgaria and the Russian Federation. There was a significant increase in the number of trade visitors from Bangladesh, Bulgaria, Egypt, Poland, Portugal and Sri Lanka. 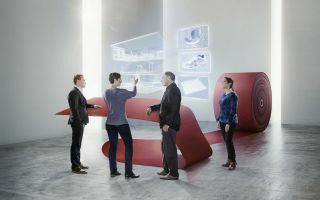 At the same time, modern technologies, such as 3D design and virtual prototyping, help make processes more reliable, as well as automate and make them faster – an important prerequisite for the sustainable production of apparel and technical textiles. “Accordingly, the subjects of ‘Industrie 4.0’ and sustainability dominated Texprocess more than ever before”, commented Elgar Straub, Managing Director, VDMA Garment and Leather Technology..
VDMA Garment and Leather Technology, the conceptual partner of Texprocess, sees the third edition of the Leading International Trade Fair as a positive signal for the sector. Elgar Straub: “We have never before experienced such a good atmosphere at Texprocess. Texprocess has significantly increased its lead as the foremost trade fair for a highly innovative sector”. The estimates of the economic situation in the sector also improved noticeably: 88 percent of visitors (2013: 86 percent) and no less than 94 percent of exhibitors (2013: 80 percent) rated the current mood in the industry as satisfactory to good. Texprocess offered trade visitors and exhibitors a multi-faceted programme of events and exhibitions. With a well-attended programme of lectures, the Texprocess Forum attracted numerous visitors, especially to the panel discussions on the Tuesday and Wednesday of the fair. Also extremely satisfied were the participants of the Texprocess Campus and the exhibitors of the IT@Texprocess area. The internationally renowned Texprocess Innovation Award was presented to four important innovations and developments for the third time. 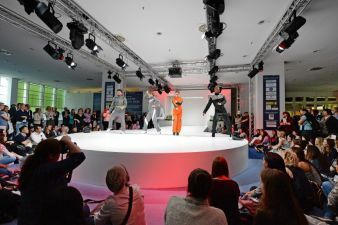 Another magnet for visitors was the first ‘Innovative Apparel Show’, which combined technical textiles with innovative processing technologies. Besides a catwalk presentation, spectators had the chance to vote for their favourite models. 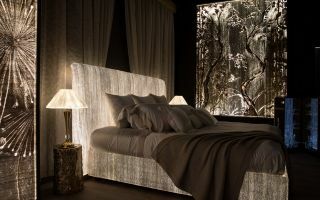 The winner was Maria Valdez from Mönchengladbach. Prof Anne Schwarz-Pfeiffer of Hochschule Niederrhein, University of Applied Sciences, explained what makes the winning model so special: “Made of three-dimensional spacer fabrics, the dress represents a perfect symbiosis between interesting functional materials and creative joining technologies. Maria uses ultra-sound welding technology to develop visual and haptic design features for experimental fashion design.” It is planned to hold the Innovative Apparel Show again in 2017. At the request of many exhibitors, Texprocess 2017 will be held on a new sequence of days (Tuesday to Friday) at the Frankfurt Fair and Exhibition Centre in Frankfurt am Main from 9 to 12 May 2017.